When you or a loved one are injured or a loved one dies as the result of someone else’s negligence or carelessness, navigating the next few weeks, months, and even years can be challenging. One burden you may have to face is a legal trial — a civil suit can help you get compensation for damages your family has suffered as the result of the injury. However, winning your case can be difficult when you’re up against the large legal team of a hospital or an insurance company. A medical expert witness can be extremely helpful — here’s why. A medical expert witness is a physician who is considered an expert in a particular field of medicine. For example, a cardiologist is considered an expert in heart problems, while a gastroenterologist would be considered an expert in problems with the liver or gastrointestinal tract. When injuries due to negligence arise, a medical expert witness can be brought in to testify on the practicing physician’s approach and if the treatment was or was not in line with industry standard. A medical expert witness can also help explain complicated medical terminology and reports to laypersons within the jury, helping them to better understand what happened to cause the victim’s injury or death. For example, a cardiologist may be able to testify in the case of a patient who died as a result of not being treated quickly enough at an emergency room after showing symptoms of a heart attack. The cardiologist can review the medical records of the patient and help the judge and jury understand how the treating physician may have deviated from standard care and how the patient’s life may have been saved if appropriate care was administered in a timely fashion. Why Is a Medical Expert Witness Important In Malpractice Cases? Often, complicated cases of medical malpractice can be difficult for laypersons in the jury to understand and even experienced judges may find it challenging to understand medical terminology. It’s important to have a medical expert witness available to help translate complex terms into everyday language so the jury can understand what happened. A medical expert witness can also offer an explanation as to what duty of care was owed to the patient by the treating physician, in what way the physician may have violated the duty of care, and how the patient was affected as a result. Another reason that a medical expert witness is extremely valuable in these types of legal cases is that judges and juries tend to trust the opinion of a trained physician, especially a physician that practices within the field of medicine that is most applicable to the case. Your lawyer may be able to give the same opinion — that the treating physician neglected the duty of care owed to his or her patient and the patient was injured or died as a result — however, a jury is going to believe the medical expert witness over the attorney in most cases. This is because a medical expert witness is unbiased. They’re present during the trial to interpret medical records and to provide an expert opinion about what happened, however, they truly aren’t on any “side.” Unlike your attorney, who is paid to advocate for you, a medical expert witness simply presents the truth of the matter at hand in a way that is easy to understand. if you’re involved in a legal claim against someone who harmed yourself or a loved one due to negligence, speak with your lawyer about the benefits of having a medical expert witness involved in your case. This is particularly important if your case is a complicated one or resulted in the death of a loved one. 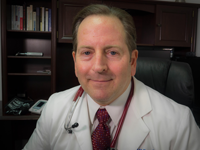 Dr. Edward Mallory is board certified and has over 25 years of experience in emergency medicine and is considered a medical expert within his field of practice. Dr. Mallory is passionate about helping victims of negligence by presenting complex medical evidence in a way that a judge and jury can understand. Contact Dr. Mallory today for a consultation at 813-997-1241.